The Minnesota II is the most efficient, straight-tracking, tandem tripping canoe ever made. If you travel in Minnesota's Boundary Waters Canoe Area or Canada's Quetico Park, you'll see a lot of these canoes. They're fast and seaworthy even when loaded with heavy gear, yet they're fun to paddle lightly loaded just for the thrill of it. This boat revolutionized both portaging and long-distance paddling and opened places like the Boundary Waters to many. Actual colors may vary due to display differences. May not be the Minnesota II. Shown with optional black aluminum trim. 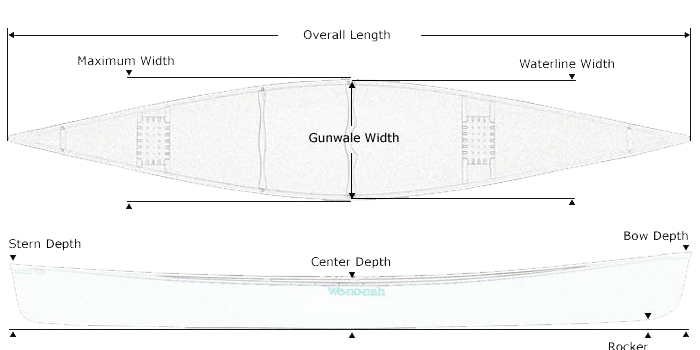 Tuf-weave® Flex-core canoe shown with Standard Options, may not be the Minnesota II. 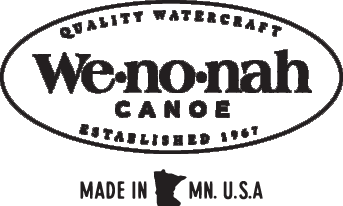 Kevlar® Flex-core canoe shown with Standard Options, may not be the Minnesota II. Kevlar® Ultra-light canoe shown with Standard Options, may not be the Minnesota II. Graphite Ultra-light canoe shown with Standard Options, may not be the Minnesota II.